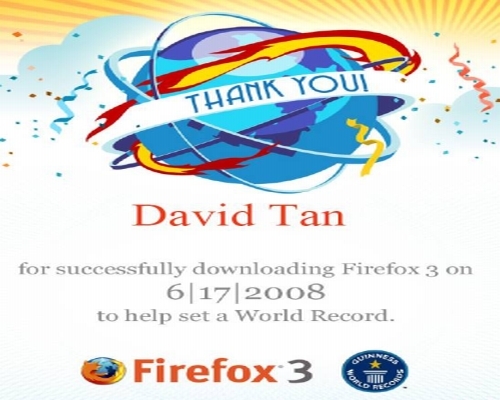 If you have helped Firefox achieved their goal of being the most downloaded software in a single day, give yourself a pat on your back and go print out this lovely and colorful certificate as a proof. Impress your girlfriend. Show it to your pet. Mail it to space. Post it on your blog like I did. Whatever. Go get it here.